Streaks are made to be broken, and Adam Bruss continued playing the role of the breaker during the Saturday, March 10, Milwaukee Fight For Air Climb. 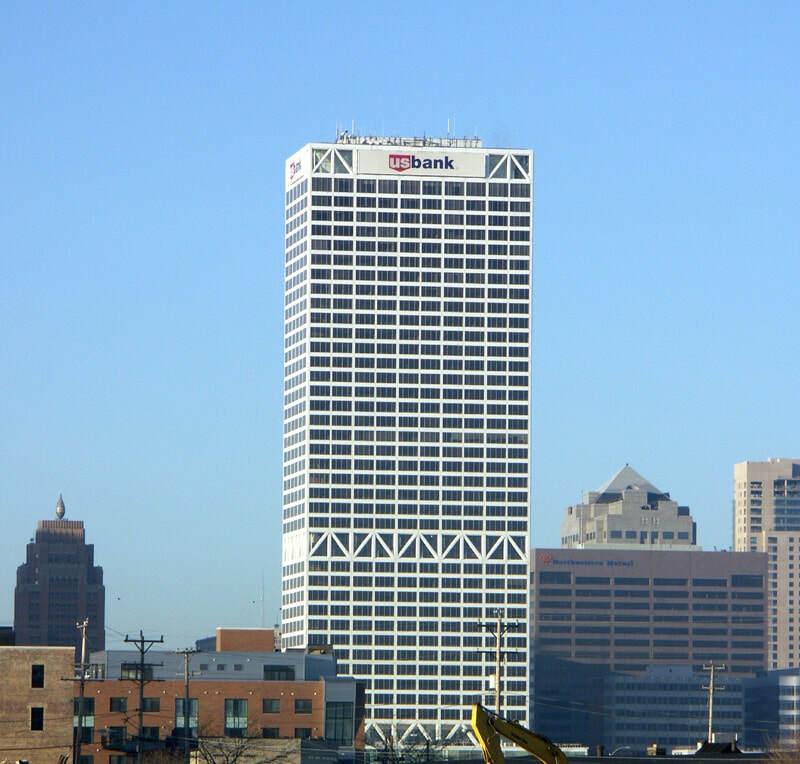 Making his way to the top of the 47-story, 981-step stairwell of the US Bank Center in 5:33 for the overall win, Bruss snapped Stair Club Milwaukee teammate Sal Impellitteri's 5-year single-climb win streak at the event. It was Bruss' second straight win at the building, having defeated Impellitteri during November's CF Climb Milwaukee, ending Impellitteri's then personal six-climb win streak at the building across both stair climb events. Impellitteri, now almost a year separated from having stepped back from competitive running and constant training, still finished fifth overall with a time of 6:17, his slowest among seven stair climbs at the building dating back to his 6:02 debut in 2013. Gunning for Illinois towerrunner Justin Stewart's 2011 building record of 4:50 during the past few years, Impellitteri came closer than anyone in recent memory, and certainly faster than anyone from Wisconsin, with finishes of 5:00-flat at 2016's CF Climb Milwaukee and an event-record 5:02 at 2017's Milwaukee Fight For Air Climb. Stewart and Chicago towerrunner Jesse Berg are the only two people in the post-2002 records era with finishes faster than Impellitteri's fastest. As for Bruss, among his five appearances in US Bank Center stair races, his finish at Saturday's climb was his second fastest to his 5:19 personal-best at last November's win. Primarily a triathlete, Bruss has taken his stair climbing out of town in recent months, however. In his first road appearance last December, he finished fourth at Oklahoma City's three-building, up-plus-down Little Willie's Triple Dog Dare. Then, last month he helped lead Stair Club Milwaukee to victory at the Oakbrook Terrace Fight For Air Climb in suburban Chicago. Saturday's top five male finishers were in part rounded out by fellow Stair Club Milwaukee teammates: newcomer Sean Finnigan, who dipped sub-6 with a 5:57 second-place finish in his stair race debut, and veteran Jean-Roch Grenetier, whose third-place time of 6:04 was a personal best. The finish continued a personal improvement streak for Grenetier, having clocked in at 6:53 at the 2016 FFA, 6:51 at 2016 CF Climb, 6:33 at the 2017 FFA, and 6:23 at the 2017 CF Climb. Carpentersville, Ill., towerrunner Josh Duncan finished fourth with a time of 6:10 up the US Bank Center's stairwell. Seven days earlier, Duncan tied for first place with 52 climbs up Salt Lake City's 24-story Wells Fargo Center stairwell during the OutClimb Cancer Challenge's six-hour stair climb. His total tied the event record for total climbs, which he set the year before. Registered for this year's Milwaukee Fight For Air Climb "Ultimate Climb" power hour, Duncan was among a group of participants taking part in what ended up being a dual-climb of sorts: participating in a single climb and then the Ultimate Climb. Ultimate Climb participants are given the opportunity to scale the building's stairs as many times as they can or want for one hour, riding the elevator back down after each climb. However, this year, due to a long-term freight elevator maintenance project, only one of the building's two freight elevators were available for participants to travel back from the US Bank Center's observatory deck to the Clybourn level start line. With only one elevator available, Ultimate Climb participants would likely lose out on achieving as many climbs as possible thanks to likely long waits to get back downstairs. 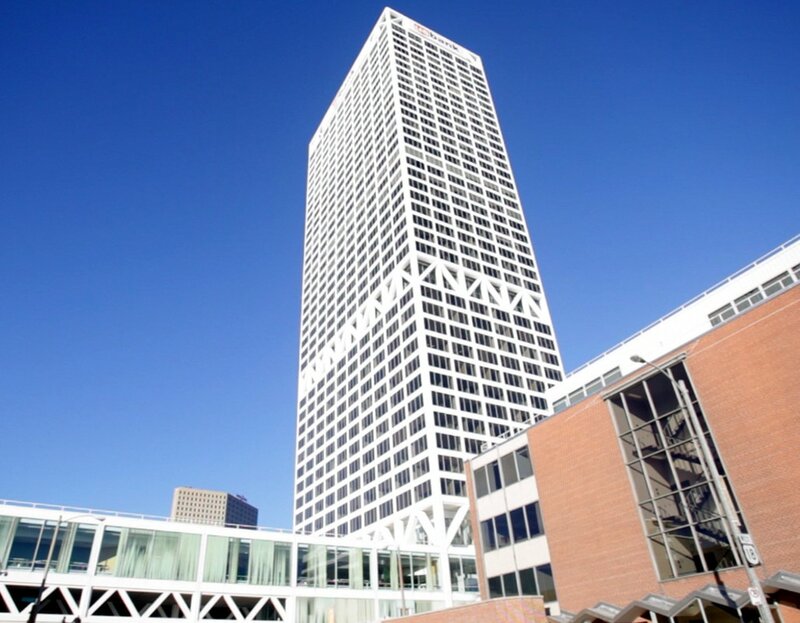 As a solution to the issue, Milwaukee Fight For Air Climb organizers received permission from US Bank Center officials to move the Ultimate Climb to the 42-story, 899-step south stairwell, where the FFA's full-gear firefighter climb takes place, which also happened to be a suggestion some participants had made in the past regardless of the elevator situation. An added benefit was that stairwell, which starts at the Galleria level, ends on a floor with access to six express elevators that lead right back down to outside the Galleria level stairwell. A schedule conflict between the Ultimate Climb and the firefighter climb would not be an issue, thanks to the Ultimate Climb's 6:30 a.m. start time and the firefighter climb's 10 a.m. start time. The only potential issue was that of results how would be handled, as the first rep climb times of Ultimate Climbers results have traditionally been included among the single climb times of all participants for team and age group awards purposes, which would be a problem since a 42-story first climb isn't on par with a 47-story climb. As a solution to that issue, FFA organizers received permission from building officials to hold a limited-space, 6:15 a.m. single-climb start wave--dubbed "Wave 0"—​in the traditional 47-story stairwell for interested Ultimate Climb participants. Of the approximately 140 total Ultimate Climbers, a total of 26 participated in Wave 0. After his 6:10 single-climb finish in the 47-story stairwell, Duncan finished second place among all men with eight total climbs totaling 51:31 up the 42-story south stairwell. He was among the nine people in the Ultimate Climb's previous nine-year history to notch an event-record seven climbs in the 47-story stairwell. Finishing first in this year's shorter stairwell was 15-year-old Chicago-area high school runner and somehow already longtime and still towerrunning prodigy Bob Liking, who spent 53:08 in the stairwell across an astounding total of nine climbs. The only person to reach nine climbs on the day, last year Liking set the 47-story Ultimate Climb record for fastest seven-climb performance (47:32). Making his nine-climb effort even more impressive, Liking ran a 4:34 in a 1,600-meter race at a track meet the day beforehand, and didn't arrive to Milwaukee with his family until 12:30 a.m. in advance of a 6:30 a.m. Ultimate Climb start time. Of his nine climbs, he completed each of his first five in less than six minutes. While Liking didn't take part in Wave 0, two-time FFA defending women's single-climb and Ultimate Climb champion Holly LaVesser did. As if LaVesser's dominance in each category wasn't enough the past two years, she outdid herself this year. During her Wave 0 single-climb, LaVesser blazed her way to the top of the 47-story stairwell in a personal-best 6:29, which goes down as the second fastest women's time in event history, and third fastest US Bank Center time in the post-2002 recorded era. The next fastest women's finishes were nearly a minute-and-a-half slower, as Allison Grahl's 7:56 edged out Regina Griffith's 7:57 for second place. Rounding out the women's top five were two other Wave 0 participants: longtime towerrunning multisport athlete Sheryl Leonard-Schneck (8:11) of Stair Club Milwaukee, and Grayslake, Ill., towerrunner Jill Paha (8:12). In the Ultimate Climb, Leonard-Schneck's 53:36 across six climbs was a distant second to more of LaVesser's dominance. LaVesser joined Duncan in the eight-climb club, finishing not only first among all women, but also third overall, logging a total of 52:58 in the stairwell. She clocked in in less than seven minutes for all but her last climb. LaVesser is one of only two women to have reached seven climbs in the previous 47-story Ultimate Climb, and her Ultimate Climb win Saturday was her fourth, adding to her total for most among anyone, man or woman, in the event. Her single-climb win is her third, an FFA event record, and ties Kristin (Frey) Renshaw for second place among all women in single-climb wins across both the CF and FFA climbs. Retired Chicago-area towerrunner Bridget (Collins) Carlson holds the US Bank Center building record, having won five straight CF Climbs between 2005 and 2009. Stair Club Milwaukee broke its own FFA event team record, clocking in at a combined team time of 30:31, a per-person average of 6:07 for its five fastest climbers, all of whom finished among the top 10 fastest individual participants at the event. In addition to the times of Bruss, Finnigan, Grenetier, and Impellitteri, the team's top five was rounded out by a 6:40 personal-best single-climb effort from Josh Jackett. The team was comprised of 10 participants, but only the top five fastest of each team count for event scoring purposes. This year's Milwaukee Fight For Air Climb included eight total team categories, including five civilian categories: Accounting/Banking, Corporate, Friends & Family, Gym/Fitness, and Lawfirm. Participating in the Family & Friends category, Stair Club Milwaukee bested the previous fastest team time for any category of 31:17 (6:16/person average), which it set at last year's event. The next fastest team on the day was a Corporate category team--Milwaukee Tool, whose preliminary results reflect a top five that clocked in at 35:58, a 7:12/person average. Milwaukee Tool's top five, however, preliminarily includes the first climb from the 42-story power hour for its second-fastest listed finisher. The event's timing company is reportedly working to remove the times of all power hour participants whose first climb times ended up in the age group and team results. Removing that result from the Milwaukee Tool team's total time and advancing its sixth listed finisher up one spot, the team's time would still rank second fastest among all teams at 36:14 (7:15/person average). With Saturday's turnout, the Milwaukee Fight For Air Climb remains the largest American Lung Association Fight For Air Climb in the country, both in terms of participation and also total funds raised. According to the climb results, this year's event saw more than 2,500 finishers of the full climb, Ultimate Climb, half climb, and first responder climbs. Through March 13, the event's website reports that the climb has raised approximately $651,000 toward its $700,000 goal. However, event director Monique Hughes said in a post-event email to participants that the total has exceeded the goal, cementing the Milwaukee climb's status as the largest ALA fundraising climb in the country for the sixth year in a row. Full results can be found at both Anderson Race Management's website and at Estes Epic's website. 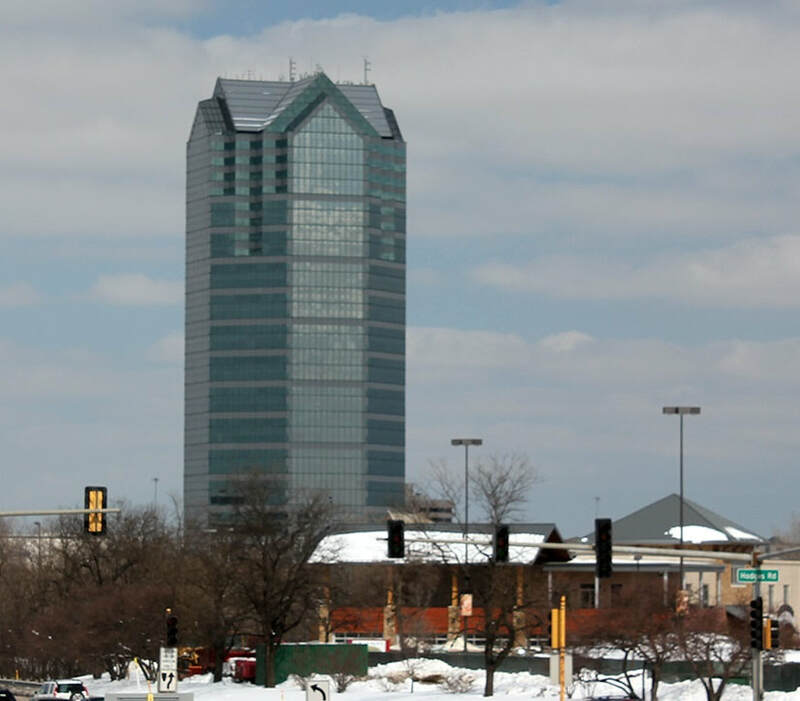 For more information about the climb itself, visit the Milwaukee Fight For Air Climb's website. Stair Club Milwaukee took its act on the road, not only fielding a team for, but winning the team portion of the American Lung Association's Saturday, Feb. 10, Oakbrook Terrace Fight For Air Climb. Led by Stair Club Milwaukee core members Adam Bruss, Josh Jackett, and Sheryl Leonard-Schneck, the team netted a cumulative time of 23:39—a 4:44 per person average among its top five participants—which was good enough to edge out longtime Chicagoland stair team Half-Fast Climbing Society's 24:00-flat (4:48/person average). Stair Club Milwaukee's Wisconsin representation was rounded out by Leonard-Schneck's husband Tom Schneck and daughter Megan, as well as Stair Club Milwaukee team friend Brian Rummelhart, captain of the Kenosha Drivers Club cycling club/stair climb team. Bruss, the 2017 CF Climb Milwaukee winner, who participated in the Oakbrook Terrace FFA's triple climb competition, notched a 3:30 finish for his first climb up the 31-story, 680-step stairwell of suburban Chicago's Oakbrook Terrace Tower, which counted toward the team time. His first climb finish also went down as the third fastest climb on the day for overall climb standings--only six seconds off of first place. Additionally, Bruss took first among all participants in the triple climb with a net time of 11:50 (3:30, 4:05, 4:15). Overall climb standings include the times of all single climb participants as well as the first climbs of all double climb, triple climb, and power hour participants. In all of the event's multi-climb competitions, participants climb to the top before taking the elevator back to the ground floor. While the time between climbs is more open-ended for double and triple climb participants, power hour participants are given an hour to climb as many times as they want/are able, and are allowed to exceed the hour threshold as long as they cross the start line of their final climb before they reach the one-hour mark. Rummelhart joined Bruss in the triple climb, finishing third overall, netting 14:52 across his three climbs (4:18, 5:20, 5:14). Rummelhart's first climb of 4:18 went for third fastest on the team and 10th in the overall results. Stair Club Milwaukee's team time was further rounded out by first-climb PRs of 4:05 from Jackett and 4:48 from Leonard-Schneck, who both participated in the event's power hour competition. Jackett finished in seventh place in both the overall (single/first climb) standings and the power hour standings. He led all participants who maxed out at nine climbs in the hour with a cumulative nine-climb time of 48:44. Leonard-Schneck joined Jackett in the nine-climb club, logging a total of 52:40 in the stairwell across her nine trips to the top, which was good enough for second among all women and 11th overall. Her first climb time went down as fourth among all women and 17th overall. The team's fifth scoring member was Tom Schneck, whose 6:58 finish bested his debut effort from 2017. While it was his second year participating in the Oakbrook Terrace climb, it was was Megan Schneck's (7:52) first time at the event. The team win was not only Stair Club Milwaukee's first win at a climb outside Wisconsin, but also its first time competing as a team at an event outside Wisconsin. 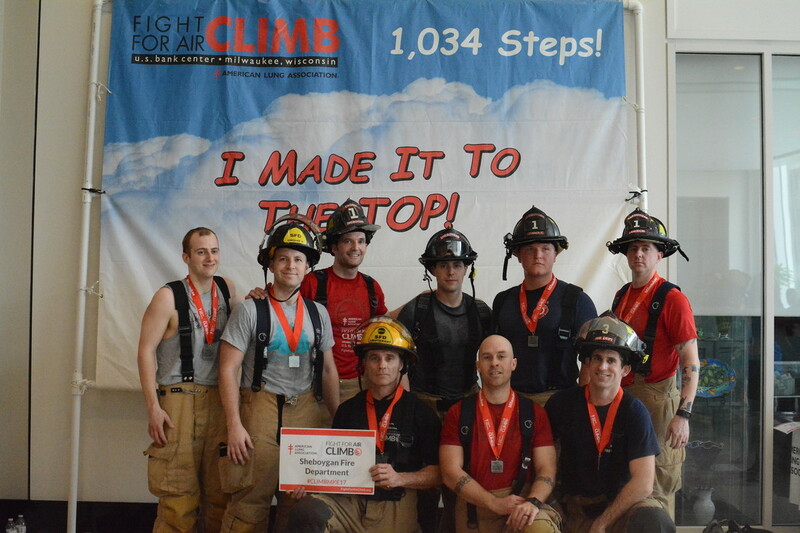 The win was also its seventh team win across all stair climb events anywhere. 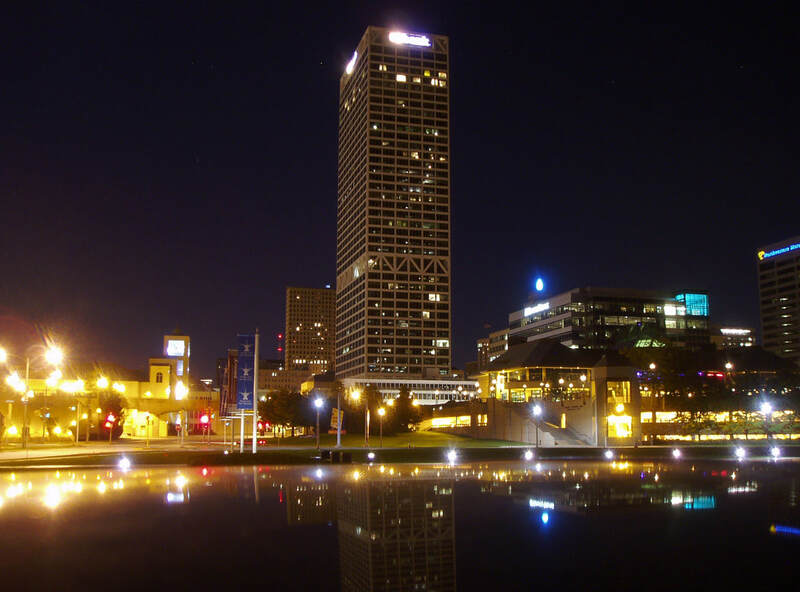 Stair Club Milwaukee has collected six team wins at Milwaukee's 47-story, 981-step US Bank Center, winning both the Milwaukee Fight For Air Climb and CF Climb Milwaukee not only in its respective team categories at each event, but also outright across all team categories at both events in 2015, 2016, and 2017. The team holds an event record of 31:17 (6:16/person average) for its five fastest finishers at the Milwaukee FFA (2017), as well as a three-person event record of 17:16 (5:46/person average) at CF Climb Milwaukee (2017). A total of 431 finishers completed the Oakbrook FFA, with the event raising nearly $140,000 for the American Lung Association in Illinois, Greater Chicago. Full results can be found at The Racer's Hub. For a moment during the post-race awards ceremony of 2015's CF Climb Milwaukee, it appeared as though West Allis triathlete Adam Bruss would walk away with a trophy for fastest climber of the night. Unfortunately for Bruss, however, thanks to a timing issue at that climb, several competitive climbers' times were mistakenly omitted from the results, leading to them not being given awards during the post-race ceremony--including that of Minneapolis-area towerrunner Jason Larson. Larson clocked in fastest of the night with a 5:35 personal best at the 47-story, 981-step US Bank Center. After the omissions were discovered, Bruss—who had just completed his debut climb second-fastest overall at the event with a time of 5:53—turned the trophy over to Larson. Fast forward two years to Thursday's CF Climb Milwaukee 2017: Bruss, 36, would not need to hand the trophy over to anyone. Blistering his way up to the top of the stairwell in 5:19, Bruss dethroned reigning CF Climb Milwaukee champion Sal Impellitteri, who was aiming for his seventh overall US Bank Center climb win. Bruss' finish, which ranks as the 13th fastest in building history, extended a personal PR streak as well. After his second-place 5:53 debut in 2015, he shaved his time down to 5:50 at 2016's CF Climb before trimming it down more to 5:45 at this past March's Fight For Air Climb. He came away with third-place finishes at those two most recent climbs behind Impellitteri, 36, and Chicago-area towerrunners Robert Liking and Jesse Berg, respectively. With no Chicagoland climbers with a sub-6-minute climb on their records slated to climb, likely the only person standing between Bruss and first place was the Milwaukee-area runner Impellitteri. Toeing the line first for the climb’s staggered start on the merits of his local stair racing accomplishments, including a 5:02 finish at last March’s Fight For Air Milwaukee and a 5:00-flat finish at last years CF Climb Milwaukee, Impellitteri set the pace. That is, until Bruss caught him. When he did, Impellitteri stepped aside to give his Stair Club Milwaukee teammate the inside rail. Bruss remained locked in and rode his momentum to the top, sealing the win. Impellitteri, who stepped away from competitive running and serious, regular training after running in April’s Boston Marathon, had been trying to break the building’s vaunted 5-minute mark at US Bank Center climbs in his most recent attempts, but in enjoying his newfound retirement, had joked prior to the climb that he’d be lucky to break 6 minutes. In the end that proved to be a bit of a stretch, as he reached the top floor finish line in 5:34, which ranks fifth fastest of his seven career climbs, and 21st fastest in building history. Impellitteri’s six combined wins at both US Bank Center climbs, which includes a current five-climb FFA win streak, ranks first all-time ahead of Chicago towerrunners Berg and Eric Leninger, each with three. Additionally, the only two people since 2002 with times faster than Impellitteri’s best are Berg and building record-holder Justin Stewart of Springfield, Ill. (4:50). Rounding out the men's CF Climb Milwaukee podium was Mark Ewell, 44. The Colorado Springs towerrunner, currently ranked no. 6 in the country, was the only other sub-6-minute finisher of the night, reaching the top in 5:53. It was a whirlwind week for Ewell, who flew to Chicago for SkyRise Chicago on Sunday, where he finished ninth overall at the 105-story, 2,159-step Willis Tower climb. He then flew back to Colorado for the bulk of the week before flying back to the Midwest for the Thursday night Milwaukee climb. The women’s race was a little more wide open, with no US Bank Center veteran top finishers slated to toe the line. In the end it was Grayslake, Ill.'s Jill Paha who reached the top the fastest, clocking in at 8:20. While not her personal fastest finish in Milwaukee, it was the 36-year-old no. 17-ranked US towerrunner’s first career first-place finish. The win does happen to carry a dubious distinction, however. For the second straight year, the winning women’s CF Climb Milwaukee time goes down as the slowest women’s win in building history. Abbey Schneider’s 8:07 finish last year was the first winning time not faster than 8 minutes. KC Kennedy, 51 (ranked 15th in the country), finished just shy of Paha’s time, as the Colorado Springs towerrunner completed the climb in 8:22. Finishing third among the women was longtime Milwaukee-area stair climbing veteran Cathy Sharkey, 55, who crossed the finish line in 8:52. West Allis firefighter Zeke Dombrowski, 31, easily defended his CF Climb Milwaukee title as the fastest full-gear firefighter, reaching the finish line in a CF Climb personal best and firefighter event record 7:21. The win is Dombrowski's sixth consecutive CF Climb win and his eighth overall US Bank Center win, including Fight For Air Climb wins in 2015 and 2016. When factoring in his FFA climb times, Dombrowski's CF Climb win ranks as his second-fastest full-gear race time, which is more impressive considering the FFA Firefighter Climb utilizes an alternate 42-story, 84-floor flight, 899-step stairwell, while the CF Climb Milwaukee firefighter climb uses the main general climb stairwell (47 stories, 94 flights, 981 steps). Stair Club Milwaukee won its third consecutive combined-time team climb, as the team's top three scoring members--Bruss, Impellitteri and Jean-Roch Grenetier, 54--netted an event record 17:16. Grenetier, on a PR streak of his own, finished fourth overall in 6:23. The team time, which equates to a per-person average of 5:46, beat the its own net of 17:53 (5:58 per person average) at CF Climb Milwaukee 2016. Stair Club Milwaukee also holds the March FFA five-person team record. Among the firefighter teams, it was not much of a contest, as the Dombrowski-led West Allis FD team combined to net 27:26—a 9:09 per person average, nearly 10 minutes net and 3 minutes per person faster than the second-place North Shore Fire Department. This year's CF Climb Milwaukee saw 262 climb finishers, and raised approximately $46,000 toward its goal of finding a cure for cystic fibrosis. In its 28th year this year, CF Climb Milwaukee has long been among the more affordable climbs in the country, as far as competitive climbers are concerned, with a minimum fundraising requirement of only $50 to go along with a $25 registration fee ($15 early bird, $35 day-of). The event, which is among the Cystic Fibrosis Foundation’s series of climbs throughout the country, is also known in some stair climbing circles for its post-race dinner/awards ceremony with food provided and five-year age group categories. More information on the climb itself can be found HERE. Full climb results can be found HERE. For the second straight stair race, Milwaukee-area runner Sal Impellitteri lined up first at the start line with no one slowing his path to the top of the US Bank Center. And for the second straight stair race, he came within mere seconds of the vaunted sub-5-minute club. The 36-year-old Impellitteri had to settle for a 5:02 finish at the American Lung Association in Wisconsin’s March 18 Fight For Air Climb—good enough for his fifth straight event win, his sixth overall US Bank Center stair race win, and a new Milwaukee FFA event record. Impellitteri’s time, which is the sixth fastest in the recorded history of all races at the US Bank Center (since 2002), bested the previous FFA event record of 5:12, which he set in 2015. His win also topped former Chicago-area competitive stair climber Bridget (Collins) Carlson for total general US Bank Center climb wins by either gender. Total building wins include both the Fight For Air Climb and the yearly November Cystic Fibrosis Climb. While Impellitteri, who set a PR of 5:00-flat at last November’s CF Climb, hadn’t discovered stairwell success—or even stairwell races—until his 30s, the ever-improving Chicago-area towerrunning prodigy Robert Liking is notching his name in the record books at the tender age of 14. With seven total climbs, not only did Liking take home first place at the Milwaukee FFA’s Ultimate Climb “power hour,” where participants scale the 47 stories and 981 steps to the top as many times as they can in an hour, his total net time of 47:32 lowered the event record by 50 seconds over fellow Chicago-area runner/climber Liz Ruvalcaba, who totaled 48:22 for her 7 climbs in 2015. Liking’s first climb finish of 6:05 was good enough for fourth fastest overall on the day—from both single climb and Ultimate Climb participants. For overall finish standings purposes, power hour participants’ first climb times are included among single climb participants’ results. Second place on the day was a 5:09 finish by Chicago towerrunning legend Jesse Berg. The 44-year-old Berg has mounted somewhat of a comeback tour in the last couple months after a few years away from the sport. He had never before competed at the Milwaukee FFA, but stands as the only person to have recorded multiple sub-5 US Bank Center finishes, all at the November CF Climb (4:51 in 2011, 4:54.8 in 2009, and 4:59.6 in 2010). Justin Stewart of Springfield, Ill., who holds the 4:50 building record, is the only other person on record to finish in less than 5 minutes. West Allis triathlete Adam Bruss, 35, rounded out the FFA podium, notching a 5:45 finish—a 5-second PR. Like Berg, this was Bruss’ first FFA Climb. However, he’s placed second and third at the last two respective CF Climbs. Impellitteri, Berg, and Bruss combined to make this the first-ever Milwaukee FFA with three sub-6-minute finishes. On the women’s side of things, it was Milwaukee FFA veteran Holly LaVesser finishing as the fastest female on the day, as well as finishing first among all women in the power hour. It was LaVesser’s second straight win in each category, and her third overall in the power hour. LaVesser banged out six climbs in a total of 45:03, with her first coming in 6:53. The sub-7 finish makes her the sixth woman ever to reach the top of the US Bank Center in less than 7 minutes, joining Collins-Carlson, Ruvalcaba, Spartan Pro Becca Clifford, and towerrunning legends Cindy Harris and Kristen Frey. The win also makes her the sixth woman to have won multiple US Bank Center individual climbs, joining Collins-Carlson, Frey, Clifford, Ruvalcaba, and longtime Milwaukee-area multisport athlete Sheryl Leonard-Schneck. LaVesser’s power hour win, which makes three in four attempts for her, stands as the most among anyone of either gender—ahead of Liking and Minneapolis-area towerrunner Jason Larson, who each have two power hour wins. The overall women’s field was rather strong on the day, as six women total reached the top of the US Bank Center in less than 8 minutes. The overall top three was rounded out by locals Kristen Strother, 46, who finished in 7:22, and Erin Smith, 43, who made her way to the top in 7:27. Among all Fight For Air Climbs put on by various chapters of the American Lung Association all across the nation, the Milwaukee climb consistently boasts the largest participation and fundraising totals. This year’s climb included more than 2,700 registered participants, and has raised approximately $620,000 (as of 3/21). After an unlucky elevator delay cost him entry into the power hour’s seven-climb club in 2015, Carpentersville, Ill., towerrunner Josh Duncan, 39, made it a lucky no. 7 at this year’s climb. Duncan’s net total of 50:13 ranks sixth all time among the 11 times participants have successfully achieved seven climbs in the hour, and makes him the ninth person to notch seven climbs. His first climb of 6:15 ranked as the fifth fastest climb on the day. This year’s FFA general team competitions—both the Friends & Family and Corporate competitions—reverted back to a four-person scoring format, where the four fastest members of a team count for scoring purposes. The Milwaukee FFA has toggled back and forth between five team members counting for scoring (2009-’11, 2015-'16) and four team members (2012-’14, 2017). Stair Club Milwaukee, competing in the Friends & Family division, smashed the previous four-person record by any team in any division, previously held by the Northwestern Mutual corporate division team in 2012. Led by Impellitteri’s 5:02 and Bruss’ 5:45, the Stair Club Milwaukee team’s top four was rounded out by Jean-Roch Grenetier (6:33) and Josh Jackett (6:54). Their net time of 24:14—a 6:04 per-person average—was more than six minutes faster than 2012 Northwestern Mutual’s 30:55—a 7:44 average. Second place on the day also beat the prior Northwestern Mutual record. The 30:14 net time from Chicagoland-based Family & Friends team Half-Fast Climbing Society was a 7:34 per-person average. The team was led by Liking’s 6:05 and rounded out by his older brother Tom Liking’s 7:29, as well as an 8:16 from Andy Hanson and 8:24 from Harish Nambiar. In the Corporate team division, LaVesser’s 6:54 helped BSG Health Matters to a 3-second win over Milwaukee Tool. BSG netted 32:40—an 8:10 average—with the help of LaVesser’s husband, Chris (7:58), Schuyler File (8:47), and Erik Hausmann (9:01). Milwaukee Tool’s 32:43 (8:11 average) consisted of Brandon Miller (7:43), Hans Banholer (8:04), Thomas Neary (8:22), and Michael Evans (8:34). Having last played spoiler in 2015 to the West Allis Fire Department's Milwaukee Fight For Air Climb dynasty with not only a win, but also by setting an all-time firefighter team event record, the Sheboygan Fire Department outdid its effort from two years ago with another win and by obliterating its own team record. Netting a total time of 41:21 for its top five fastest finishers at the March 18 event—an average of 8:17 per person—the Sheboygan FD joined the West Allis FD as the only fire department to win more than one team challenge. The Sheboygan FD lopped more than two minutes off its prior record of 43:37, which was a per-person average of 8:44. While the West Allis FD has made a name for itself as a stair racing powerhouse with six team titles (2009-’10, 2012-’14, and 2016), the Sheboygan FD has come on strong in recent years. In addition to its two team wins now, Sheboygan has notched second place finishes in 2014 and 2016, as well as a third-place finish in 2013. This year's second-place team was the Wauwatosa Fire Department, which netted 44:33 for its five fastest firefigthers, a per-person average of 8:55. The FFA's firefighter climb utilizes an alternate 42-story, 899-step stairwell that begins at the US Bank Center’s Galleria Level. Firefighters participating in this challenge wear full gear, estimated to weigh between 40-60 lbs. Gear weight made no difference for the Fitchburg Fire Department’s Ryan Kundy, who took home his second individual firefighter win and his third-ever sub-8-minute full gear climb. Kundy scaled his way to the top of the US Bank Center in 7:14, the second-fastest FFA Firefighter Climb finish in event history. Then racing as Ryan Kundert, Kundy won the 2013 event with a 7:55, and finished third in 2016 with a 7:27. He joins West Allis firefighter Zeke Dombrowski—who set the event record of 6:54 in 2016—with two FFA wins. They both trail West Allis firefighter Joe Gapinski, who has three FFA wins to his credit. Prior to this year, Kundy, Dombrowski, and Gapinski were the only three firefighters to dip below the 8-minute mark in the firefighter climb; they were joined this year by Sheboygan’s Efrem Capetillo (7:26) and Tyler Schmitt (7:50).